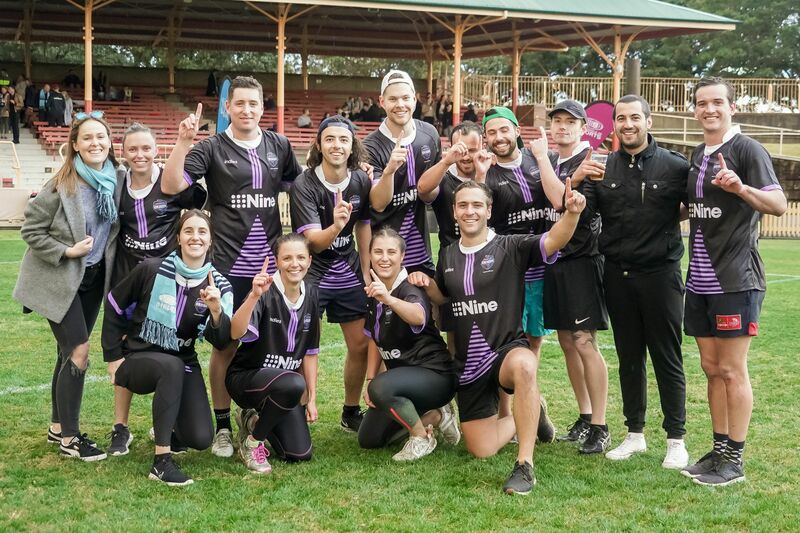 The rain couldn’t dampen their spirits as the elite of Sydney’s media agencies took to North Sydney Oval for Nine’s annual NRL Agency of Origin tournament. After a heartbreaking and somewhat controversial exit for the Indies in last year’s tournament, without making the quarter-finals, this year they broke out midway through the day, defeating Publicis and Mediacom to earn their way to the final. Yesterday saw a strong independent lineup with players joining the indie ranks from Pearman Media, The M Agency and Atomic 212, assisted by Nine’s Independent Agency sales team and Dan Sindoni from SCA. With a crowd of hundreds watching on from the somewhat dry stands, the Indies regrouped and as the skies opened so did the Independents’ scoring. Ollie Perry from Atomic 212, living up to his business title, was truly a creative strategist, repeatedly breaking the line with great speed on his way to securing the Best on Ground award. The M Agency’s John Makarainen returned after last year’s disappointing tournament and was a tower of strength and welcomed Jack Cleaver from Pearman Media and Dylan Mazza Atomic 212 into the fold. Kristie Gee and Joanne Gardner were standouts in attack and defence in slippery conditions. In the final the Indies defeated PHD 7-0. The Independent team’s win takes the reigning crown from Carat, who have held the shield for the past three years.